This weekend is the first of several short backpacking trips I’m organizing for the next couple months. I’m planning on building a new and fresh body of work for this site, a collection that really captures what lonely speck will really be all about: creating unforgettable photography experiences for explorers at heart. , which is the best guide I have been able to find so far about the area. The dunes are hidden from sight in a smaller basin on the west side of Eureka Valley, a small set of mountains obscures them from view. Ever since I read about these dunes, I’ve wanted to visit them. The last trip I made out to the area was to the Panamint Dunes which proved to be an amazing experience. This time I’ll be returning to the National Park with a little bit more experience and a clearer idea of how I want to capture the place for others to see. Last time, Cody and I probably packed about 70lb each. That’s way more than the rating of our packs. Even though it was a nearly flat 7 miles to our camping spot, it wasn’t easy. 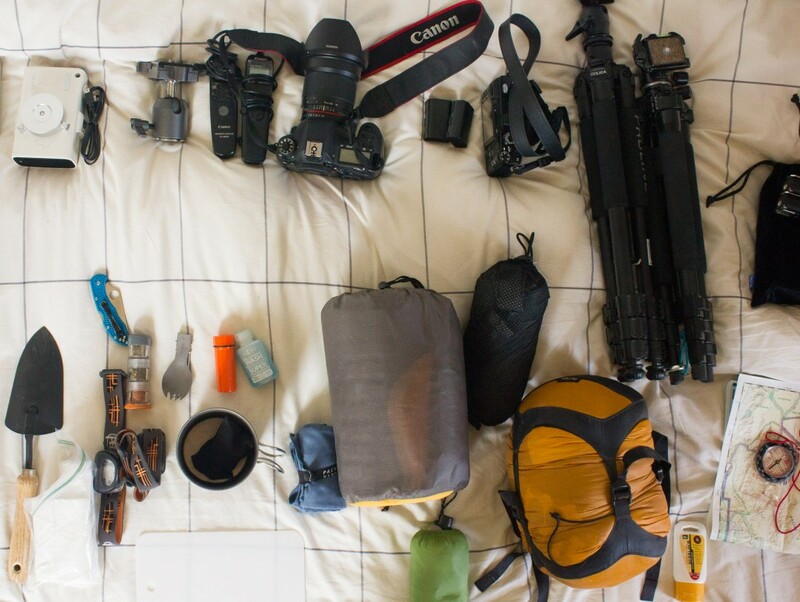 We wanted to bring all the camera equipment, tripods, lenses, timers, extra batteries, extra SD cards, and intervalometers. Now, all told, I think I used all of my camera equipment, every single piece until I was down to the last memory card and the last battery. On top of all the imaging gear, we also had a substantial amount of camping equipment. More than we needed and certainly more than we used. A lot of it ended up being dead weight that we carried all 14 miles and never used. We might as well have been packing lead. And don’t forget the 3 gallons of water we packed out too. Some of the things I’m avoiding this time around are things like wood cutting tools (last time I had a saw even though there are no trees where we went), a substantially heavy Gerber folding shovel (which I’ve replaced with a simple garden trowel), canned foods (heavy), and too many extra clothes. This exercise really makes appreciate the thinking people like Kelly Sutton or Colin Wright must go through to keep their total number of possessions to around 100 items or less. , a tripod and mounting hardware like a quick release ball head, as well as the newest addition to my camera arsenal, the Fujifilm X-E1 and XF18mmF2 Lens. That setup alone weighs 8.4 lb, most of which is the mounting hardware. Overall, I hope to keep my complete setup, with water to around 30-40lb total. I’m not sure that’s possible, but we will see. I’m going to do a few two or three night hikes focusing on astro-photography. Do you have any tips or a current check list? -warm clothes, gloves, jacket etc. That’s honestly the minimum you will need if it’s just an out and back with no camping. I recommend only using one lens per night/hike and not bringing an extra one. Concentrating on one focal length is always a good practice anyways. Bring a friend if possible, it’s always more comfortable with company and can be helpful with things like focusing. Good shoes are a must and watch for nocturnal critters like scorpions etc. It’s always good to set out with a goal in mind. Maybe your goal is to shoot a particular panorama, maybe it’s to capture a self portrait, maybe it’s to capture a timelapse. Set out with some inspiration, perhaps try to emulate a certain look or composition that you enjoyed from another photographer. Having a direction and a goal will help your shooting immensely. Great stuff! I’m highly interested in a similar trip out there over the next two months before the heat becomes unbearable. Lots of useful info. One thing I will state though is that you pack way too much stuff. I spent over a year traveling with no more than 35lbs of stuff, ever. The more you go out there the less you will need. Especially if it’s only a few days consider the difference between comfortable and tolerable. I learned about the weight thing pretty quickly. My pack weight 35lb this time around but since it was death valley we also had to pack water. Basically, the hike out was a bit tough, the hike back much easier. I don’t regret taking so much this time around to sort of test stuff out but I think I’ve learned a lesson for the future! I think I’ll be returning to Death Valley real often! Thanks for stopping by Rafael.